Whether it was browsing, researching or buying, mobile’s massive contribution to Black Friday sales –a jump in digital sales of 24%, according to Salesforce, with 60% of online traffic and 42% of sales coming from mobile devices — proves the pivotal importance of having a mobile website that captures attention and drives conversions. So, what distinguishes leaders from the also-rans? In a word: speed. Last year Google delivered the industry a wake-up call with results that showed over half (53%) of consumers abandon mobile websites that take longer than three seconds to load. This year Google is going one better, providing a new benchmark for fast mobile loading times. 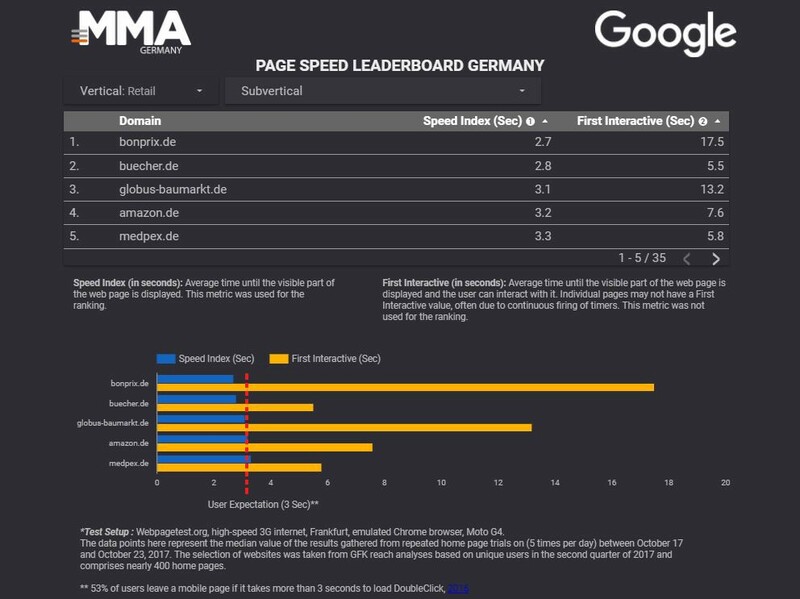 The leaderboards — based on the top 400 retail and travel websites provided by the major German consumer research firm GfK (Gesellschaft für Konsumgüter) and performance metrics from open source measurement tool provider Webpagetest.org — draw on two key user-centric metrics to rank websites. These are Speed Index, or the time it takes to fully display a page, and First Interactive, or the time it takes for the user to be able to view and interact with a website. “Both of these metrics are imperative for a good user experience and are therefore useful for evaluating the performance of a mobile website,” observes Dominik Wöber, Head of Performance Sales, Central Europe at Google. The aim, he tells me, is to provide a new benchmark for fast mobile loading times, “one that will spur companies to meet and exceed the general user expectation of a load time of three seconds.” There are also plans to extend the leaderboard to other industries and countries to provide these metrics on a regular basis. The winners’ circle lists the top five fastest websites across 12 categories of retail and travel. But not all companies have followed this approach. “Speed Index is the decisive KPI for the ranking in the leaderboard, but the majority of companies are still lagging far behind the user expectation of three seconds,” Google’s Wöber explains. With loading times of 7–11 seconds for the visual section of a mobile website alone, it’s clear a large number of companies have a long way to go. Mobile websites benefit from how consumers search, find and interact with content and companies. Mobile website landing pages are the lead capture pages that power the campaign call-to-action. 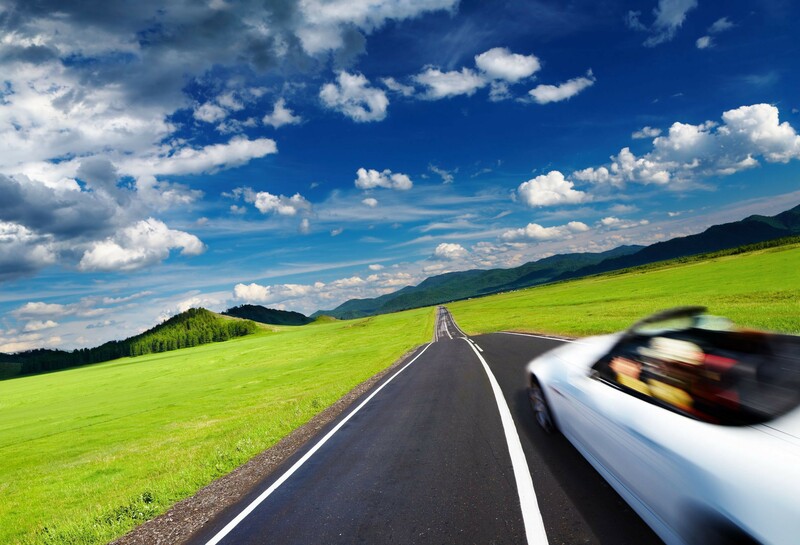 An increasing body of research shows both must meet customer expectations for speed and demand for an amazing experience. “If the shop is slow, the customer is gone and the page ranking is bad. At the online retailer buecher.de, this applies in particular to the rapidly growing mobile sector and its performance. It is important to carry out objective benchmarking with suitable tools on a regular basis, to identify approaches for optimizations and to verify them by means of tests”. NOTE: This content contains excerpts of an article that first appeared on Forbes, written by Peggy Anne Salz, Chief Content Officer of the MMA Germany, mobile analyst, and content marketing strategist at MobileGroove.